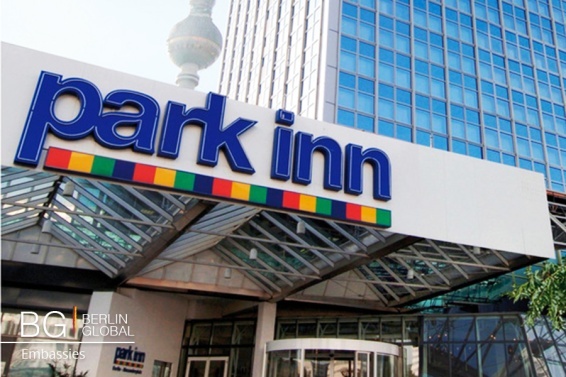 From the 10th of March until the 15th of May the Estonian artist Ivar Kaasik showcases his works at the Park Inn Berlin, the Exhibition is supported by the Estonian Embassy in Berlin. This is not the first time in which the paintings of this artist are shown in Berlin. 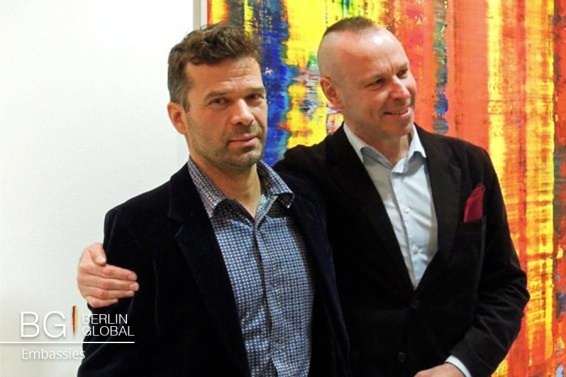 His artwork was previously shown at the Park Inn Berlin, in 2013, when the Ambassador of Estonia, H.E. Dr. Kaja Tael, opened the exhibition entitled “Before the silence”. On that occasion his oil paintings was defined as a tribute to artists such as Joseph Albers and Mark Rothko, because of their features, where the notions of the artificial and the natural blur. This year the exhibition, called “Phenomenon”, was opened by the Cultural Attaché of the Estonian Embassy Mr. Harry Liivrand, who introduced Kaasik’s contemporary paintings. Using op – art techniques and also new multimedia technology, Kaasik puts painting in a modern context. His paintings are contemporary in their concepts of art and how the treat nature. His artwork permeates many areas of our lives through it’s complexity, in a way that goes beyond the cliché. Kassik’s works inspire the viewer with their colours and their bold perspectives, transporting the viewer into a world of harmony with new perspectives and visions. Ivar Kaasik is an Estonian abstract painter, who has lived in Berlin since 1992. He was born in Kuressaare and started to study architecture at the Estonian Academy of Arts in 1983, but graduated as a metal and jewellery artist. Between 1989 and 1992 he studied at the Academy of Art and Design in Halle and in 1996 won the Beers grand prix at “The Diamonds International Awards”. Furthermore, since 2001, he has been a member of the German Artists Association BBK.